September, 2017 | Ken Neyer Plumbing, Inc. 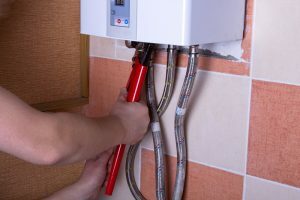 The fall is the best time of the year to replace a water heater that’s showing signs it’s coming to the end of its service life. Fall is generally a slower time of year for plumbers and heating experts, making it easier to schedule the service, and you can spend some extra time making the choice. “Wait, what choice?” you might ask. The choice of what type of water heater you want to have installed. There are more options today than the standard storage tank water heater, including the heat pump water heater and the increasingly popular tankless water heater. 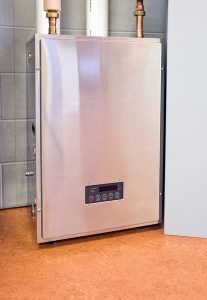 The tankless models are the subject of a lot of scrutiny because they offer many potential advantages, but they also make people a bit nervous because they’re unsure if a system that heats up water “on demand” (i.e. only when there’s a call for hot water at one of the taps or appliances) will end up meeting their needs.